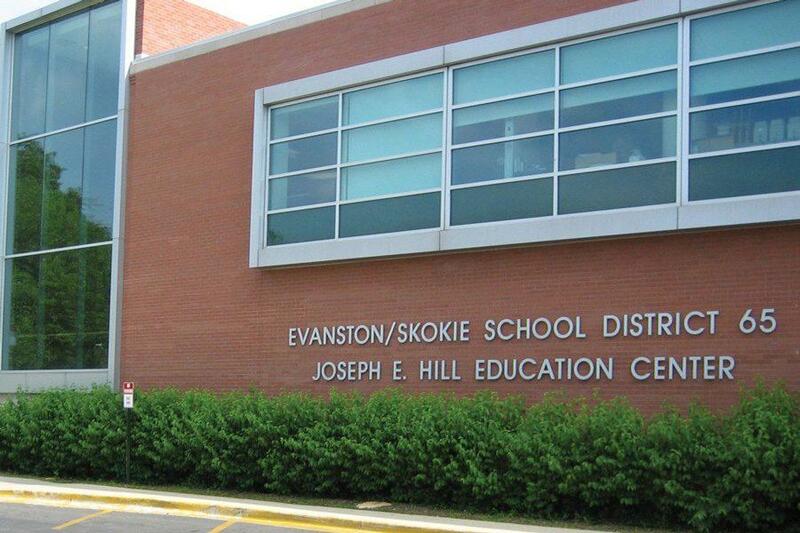 The Joseph E. Hill Early Childhood Education Center holds the offices for Evanston/Skokie School District 65. On Monday, the district's board passed a contingency plan should next month's referendum fail to pass. Although District 65 leaders hope voters pass a $14.5 million property tax referendum next month to prevent teacher layoffs and budget cuts for extracurricular and science programs, the district’s school board passed a contingency plan Monday in case the referendum does not pass. The contingency plan would increase class sizes, reduce funding for athletic and music programs and diminish staff in the 18 schools D65 oversees. Parents, local officials and residents voiced their concerns about the plan at a meeting Monday. Andy Ross, parent of two and member of the Committee to Save Our Schools, said his family moved to Evanston because his children were “stuffed” in classrooms of more than 30 students in Chicago. Ross said this had negatively impacted his children’s learning and warned against allowing “CPS-sized” classes in Evanston. He said the district has added 1,500 students over the past 10 years. New students have cost about $20 million more annually to educate, Ross said, but only $3.5 million has been added to local property taxes, leading to a significant deficit. During the meeting, residents discussed what school board president Candance Chow described as a “difficult set of decisions.” If residents vote in favor of the $14.5 million tax, the district won’t have to employ its contingency plan. But if the referendum does not pass, the district would have to act quickly to implement budget cuts by June 30. According to the district’s website, homeowners would have to pay about $470 more on property taxes a year if the referendum passes, which would prevent D65 from laying off roughly 30 teachers and other support staff, assistant principals and employees at its main office. During the meeting, District 65 Educators’ Council president Paula Zelinsky condemned the board’s decision to inform teachers of potential staff cuts through a PowerPoint presentation. She also questioned the district’s definition of “equity,” saying the board’s proposed budget changes wouldn’t increase class sizes equally. Zelinsky said some elementary school grades would see a larger increase in class size than others. According to the proposed plan, first-year classes would grow by three students and second-year classes would grow by five.